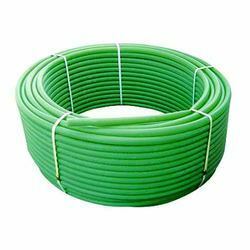 Leading Manufacturer of cable duct coil pipe, hdpe plb cable duct pipe and hdpe duct pipe plb from Rajkot. Elegant Cable Duct Pipe is a highly flexible PE pipe which server Low cost alternative to HDPE PLB duct pipe used for ducting Electrical,USB,OFC and other types of cables. These pipes are manufactured using superior quality PE compound so as to achieve high flexibility. Elegant Cable Duct Pipes are highly flexible so that they can be easily maneuvered around the corners and curves without use of fittings and thereby reducing cost and time of installation. Smooth inner surfaces helps in reducing Internal Co-efficient of Friction (ICF) between cable and pipes thereby allowing easy insertion of cable by drawing or blowing techniques. Elegant Cable Duct Pipes also comes with high resistance to Ultraviolet (UV) rays thereby increasing overall lifespan to well over 20 yrs. High UV resistance allows overhead cable installations reducing trenching cost. Pipes also contain co-extruded 4 eqvi-spaced continuous longitudinal strip of minimum 3mm width. Reduction of stress on cable during installation. High Environment Stress Crack Resistance (ESCR). Installation of Longer lengths made feasible. Negotiations of cable movement through bends and deflections are easier. Reduction of number of joints and minimizes number of splices. Faster and easy installation of cable with lesser man power. Reduction of overall cost of installation, maintenance and future upgrades. 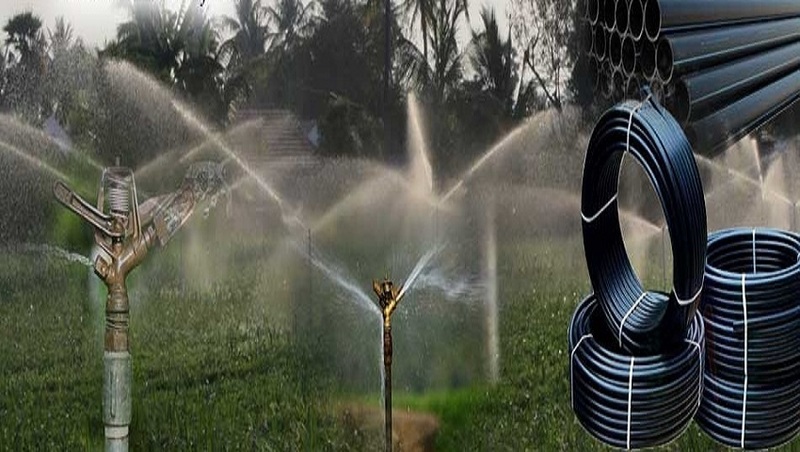 We are also dealing in HDPE Pipes, HDPE Coil, CABLE Duct Pipes, MDPE Pipes, PVC Pipes, Drip Irrigation System, Sprinkler Irrigation System, HDPE Pipe Fittings & Compression Pipe Fittings. Usage/Application Telecommunication, Computer Networking, Automatic Signaling,	Railways Information Network. Elegant PLB Duct Pipe is extruded from selected high quality virgin HDPE material and co-extruded with solid Silicon permanent lubricant that is distributed uniformly along the entire inner surface of the duct providing a low friction smooth surface for easy cable drawing or blowing and reducing Internal Co-efficient of Friction (ICF) between Fiber Optic cable & pipe. 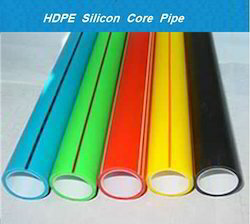 The outer HDPE shell makes the pipe more tough and durable and enables the duct to withstand the pressure during HSAB of cable as well as retains the roundness under soil pressure and traffic load. Elegant PLB Duct Pipe conform to BSNL specification. Pipes also contain co-extruded 4 eqvi-spaced continuous longitudinal strip of minimum 3mm width.